The Bybee family minivan pulled out of Milwaukee this morning bound for Chicago. We decided not to take in a game tonight. For starters, we were thinking we might burn out the kids with too much baseball. Correction: we were thinking we might burn out TWO of the kids with too much baseball. But just as importantly, the Cubs were at home against the Reds. I guess I could’ve rooted for a tie, but come on. So instead, we opted to see the sights today. We arrived in town and checked in early to our hotel and immediately headed out for lunch at Renaldi’s. Sunny and I ate there about 10 or 12 years ago on our last visit to Chicago and it was our favorite. In a town known for pizza, Renaldi’s stands out. We ordered the Chef Special: Garbage Pizza (sausage, onion, mushroom, and pepperoni). 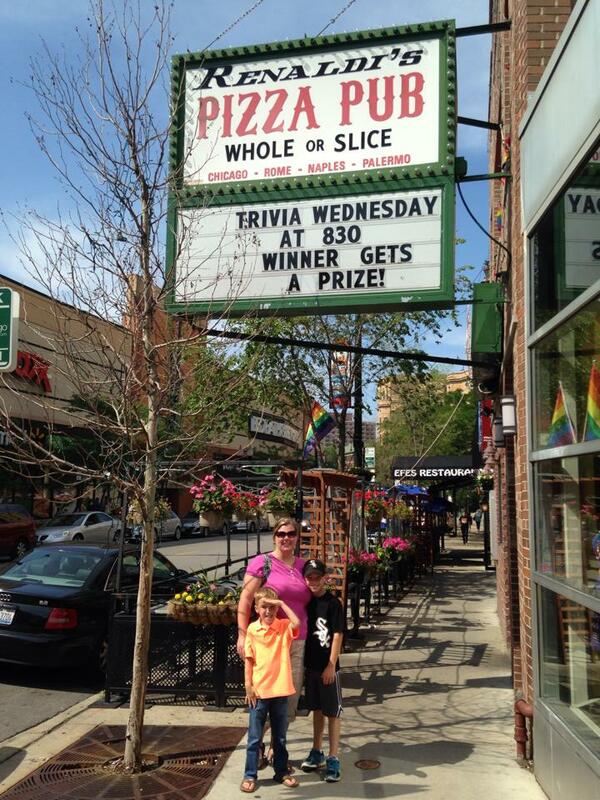 Thankfully, the pizza was just as good as we remembered it. We all loved it! Following our late lunch, we took the L back to downtown. The kids loved being able to see the city from the windows. After a short ride, we were in the middle of downtown touring Millennium Park. 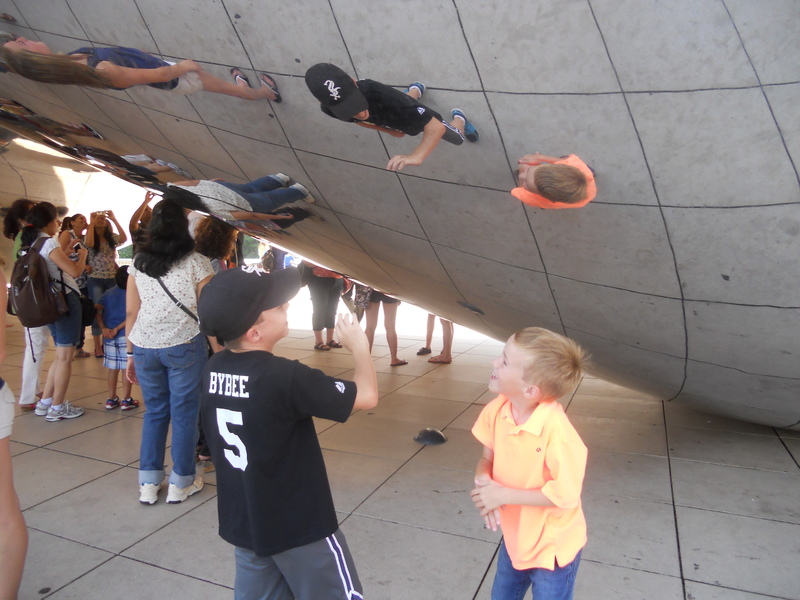 The kids loved seeing all the unique artwork, particularly the famous “bean.” As you can see, we took several silly pics! 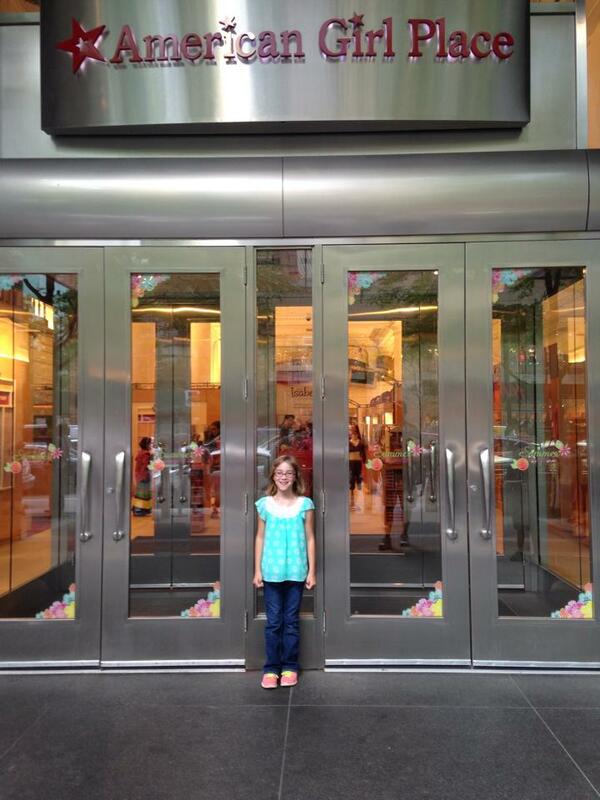 After milling around the park, we decided to make our way to the American Girl Doll store. Abby Kate had some early birthday money from her grandmother and great-grandmother, so she decided to spend it on a few things at the store. She was tempted to buy something at the American Girl store at the Mall of America in Minneapolis, but after hearing that the Chicago store was even bigger, she decided to hold off and do her shopping here instead. She had so much fun shopping and I had fun watching her. She was such a trooper to endure 4 ball games on her family vacation; the least we could do was spare a half hour for her to walk through and see the American Girl stuff. Meanwhile, Joshua found the Lego store next door…and a surprise guest! After a rain delay and a Starbucks stop, we were back on the streets for more of the Chicago experience. We debated a few things because we knew our time here was going to be limited, but in the end, we decided to go on an architectural boat tour of the city…and it was AWESOME! We started out by traveling the Chicago River and we learned so much about the city’s architecture and history. 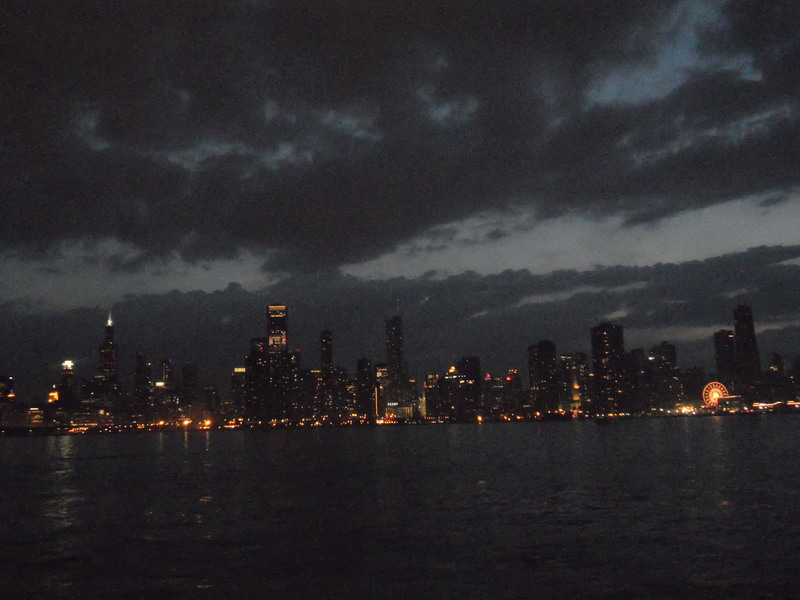 Next we went out on Lake Michigan to see the skyline just after dusk; it was gorgeous. Our 90 minute tour ended back at Michigan Avenue and we were thoroughly impressed. A great way to spend the evening. 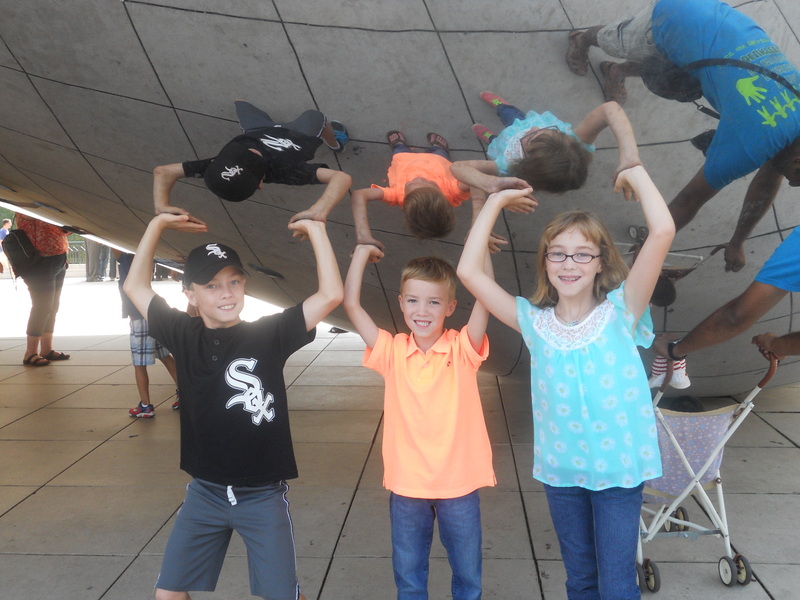 This entry was posted in Blessings, Family, Kids, Sunny and tagged American Girl, Chicago, Chicago Cubs, Millennium Park, Renaldi's Pizza, The Bean. Bookmark the permalink.